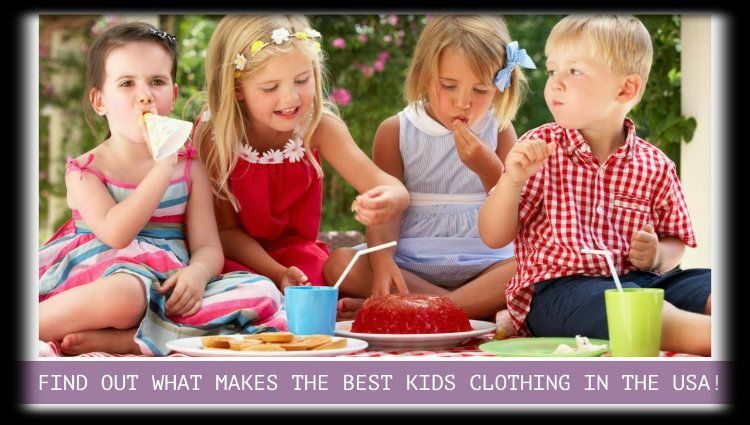 Find Out What Makes The Best Kids Clothing in The USA! Kids clothing needs to be manufactured with care because the little ones happen to have sensitive skins that may get irritated by the slightest of provocations. Therefore, it is best that parents have a fair idea of how quality kid’s clothing are made, just so they can have a good time wearing something that will make them feel comfortable in this blazing heat. If you want to make sure that your children have a cool summer, then organic fabrics are a must. Try cotton, linen, and the likes, as these come with a number of advantages. Firstly, they make sure that the heat does not get to your children, and also reduce the bacterial growth because of all the sweating in the summer season. Finally, organic fabrics have a better absorption capability which makes it even better for the hot summers. Basically anything that makes sure your children’s clothes don’t start absorbing a lot of heat. Bright colors reflect sunlight and keep the body cool. This is one of the main reasons why even fashion stylists opt for these sort of bright and soft colors and you should not miss out on this little detail either. Like all other types of clothing, even kids’ clothing cannot work without a style factor and that is why you should always make sure that you buy from a clothing manufacturer or retailer that knows what it is doing as far as the style part is concerned. Be it in design, patterns, or colors, the latest style trends can make a lot of difference in your kids overall appearance this summer! These are the kids clothing wholesale qualities that will make your child’s summer wardrobe worth every bit of the accolades that they will get when they are out on the streets, slaying it with style. At the end of the day, if you want to get the best clothes for them, these are the only 3 qualities that you should remember, especially if its in the summer. Any of the top wholesale clothing USA companies will abide by these features in their kids’ clothing inventory and it would not be that hard for you to get the best quality for your little ones. However, you should always remember, that going the branded way won’t always qualify all of these categories, and therefore you should make sure of that, irrespective of anything else! Audio Version : Find Out What Makes The Best Kids Clothing in The USA! What's Trending in Australia - 3 Things to Add to Your Retail Store! Why Pick A Pan American Clothing Manufacturer? What Kind of A Manufacturer Can Help You with Multiple Stores in Cities! Why Your Private Label Brand Could Use A Swimwear Line?